Details: Formaldehyde, Toulene and DBP free. 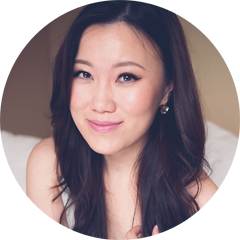 I've always been a little envious of gals with pretty primped gel nails, the sleek look and high shine finish wooed me but the prospect of nail damage and constant fill-ins always steered me away. 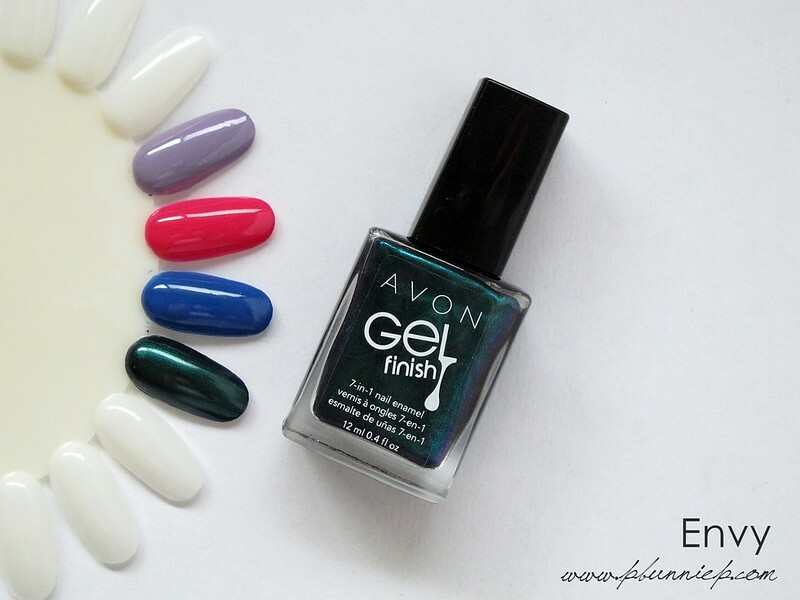 So when AVON's new Gel Finish nail enamels landed on my desk, my fingers went right for them. 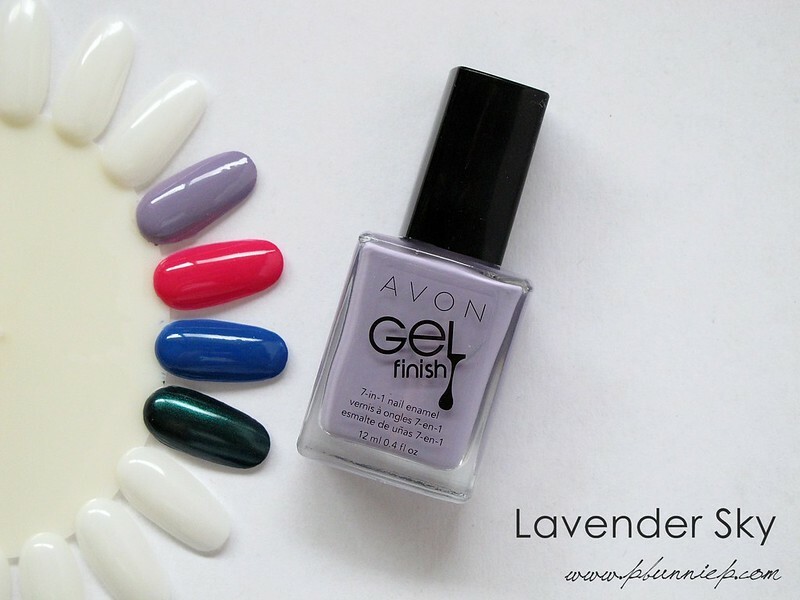 The 7-in-1 formulation promises high shine, a gel like finish, vivid colour and takes the place of protection, strengthener, base coat plus top coat all in one stroke. Do it all or nothing at all? I was quick to let my eager little digits find out. First impressions can be a deal breaker but these started off strong with rich saturated colour on the first coat, I layered on a second coat for absolute opacity but could have easily pulled off a quick mani with a single stroke. All four colours I have swatched below gave beautiful vivid results from the pale lavender to that rich metallic green. The brush was just slightly wider than what you'd find on traditional bottles but was very easy and swift to use. 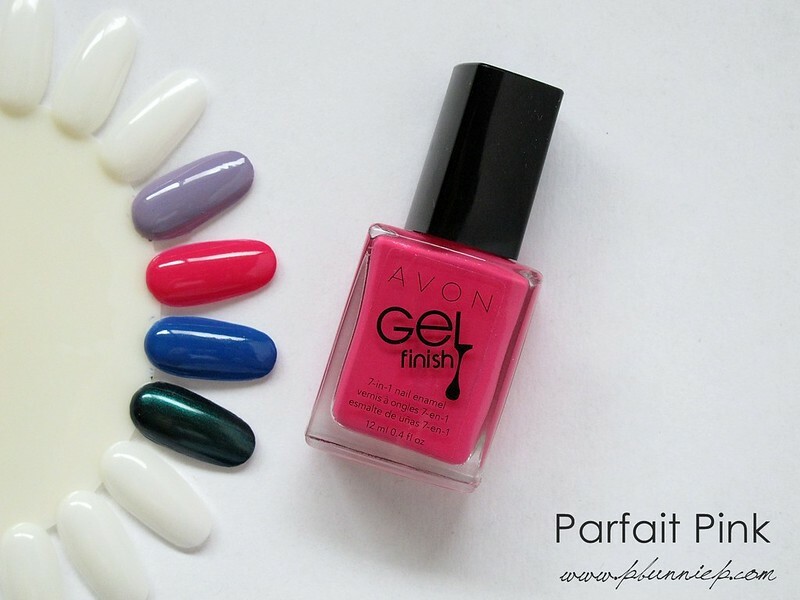 As a gel finish nail polish, I was slightly weary about the consistency being thick or hard to work with but was delighted to find the exact opposite. All four shades came out smooth and creamy, in fact even more so than some of my regular polishes plus it didn't require any extra drying time than what I normal use. I also loved the true gel shine look of the finished result and couldn't stop staring at my nails the first time I wore "Pink Parfait" and just like that, no top coat required. It looked expensive and I would have easily worn it out on a fancy date. 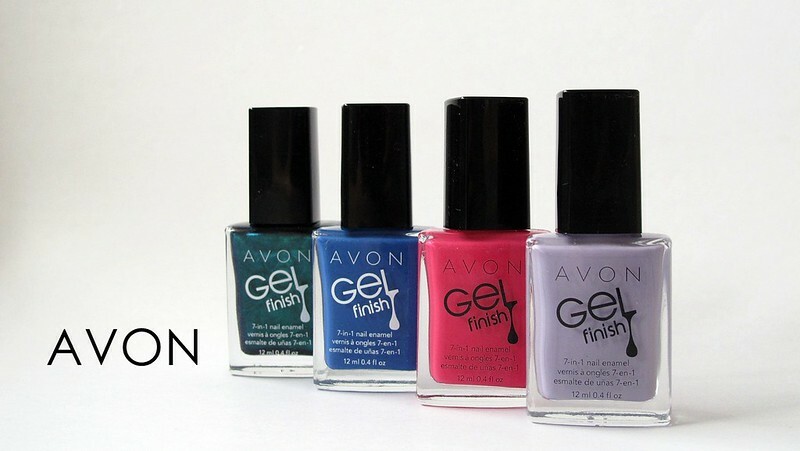 AVON's Gel Finish nail enamel lasted a pretty pristine 4-5 days before I took it off and altogether I am thoroughly impressed by the formulation and finish. I've never quite had a nail colour look so good while being so easy and effortless. Gel nail look without the commitment? It can be done! With 12 shades to the collection, there are quite a few rich shades for fall including "Mudslide", "Inked Up" and my favourite from the batch I have on hand "Envy". 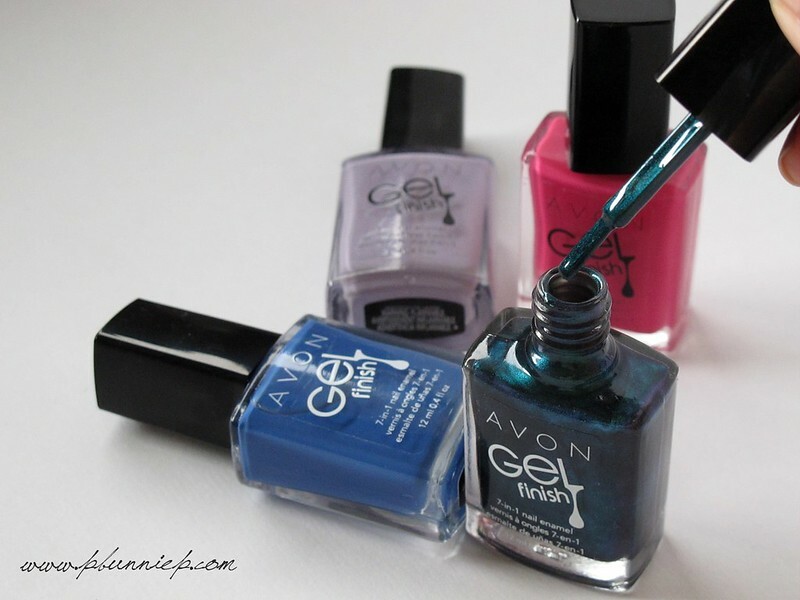 If you are looking to mix up your nail collection, these hard working nail enamels are definitely worth a swatch. 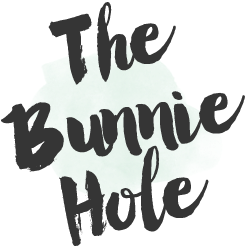 I love your blog and I watched some of your tips on You Tube about blogging, good luck with everything! Avon is impressing me once again!